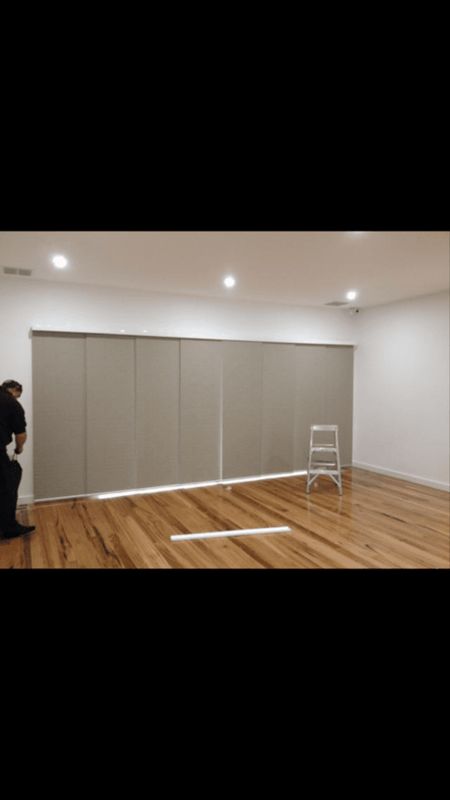 When should you get panel glides blinds? Hm…Does your living areas have large sliding windows? Do you love to sit back and relax on the couch while enjoying the fresh air coming from the wide open feature doors? Do you want guests to have greater views of your beautiful alfresco garden? 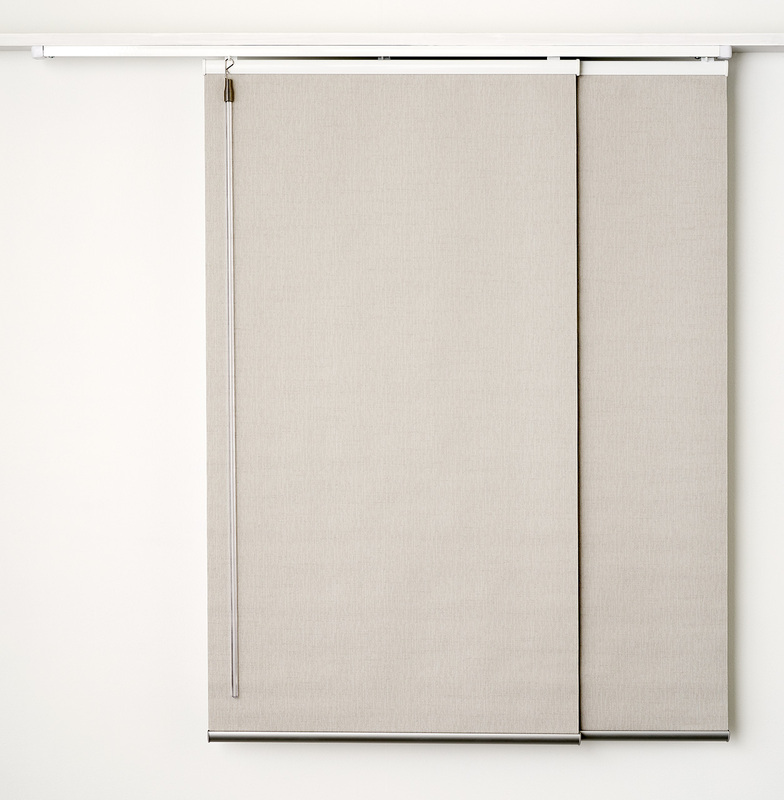 If you say yes to any of the above, it’s time to consider getting a quote on our Panel Glides Blinds. 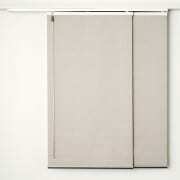 Panel Glide Blinds are perfect window treatment styles for modern and contemporary homes with open living areas. They look amazing on larger sliding windows and entertainer bi-fold sliding doors. And yes, they are similar to vertical blinds but with a much more stylish touch. Simply ‘glide’ the panels to either left or right and reveal your outdoor living area, or quickly close it for maximum privacy. Sun protection: you will have total control of the amount of sun entering the room! Full privacy: these blinds are fitted from bottom to top, leaving no room for nosy neighbours! 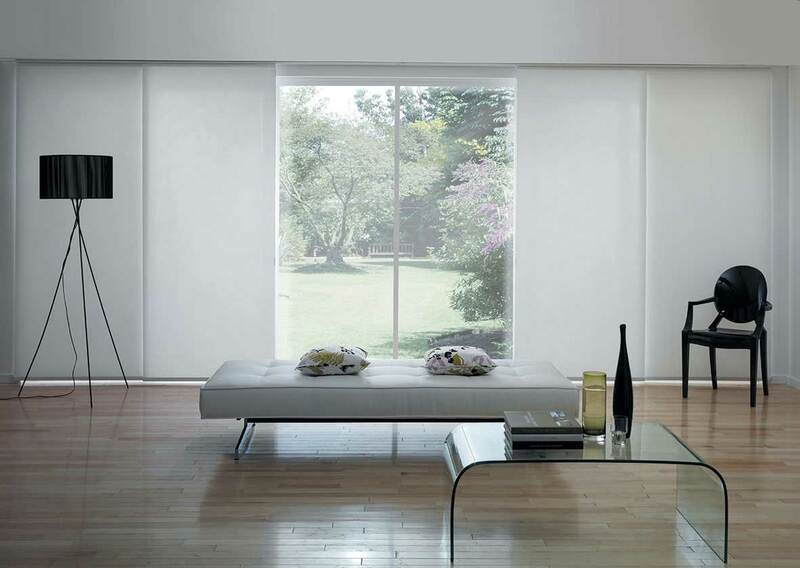 Enhance visual attraction: our Panel Glide Blinds are the top of the range. They are so pretty that you’ll definitely receive compliments for your great design skills! If you aren’t sure about this type of window coverings, feel free to leave us a question. 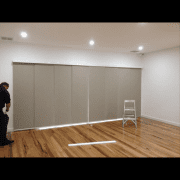 Panel Glides Blinds are known as one of the most expensive types of window coverings, but we are here to beat any quote. Simply submit your window measurement and style option to get an instant quote. You can even make us an offer from the quote we give you! Please enter a value between 400 and 4800. Please enter a value between 250 and 4200.